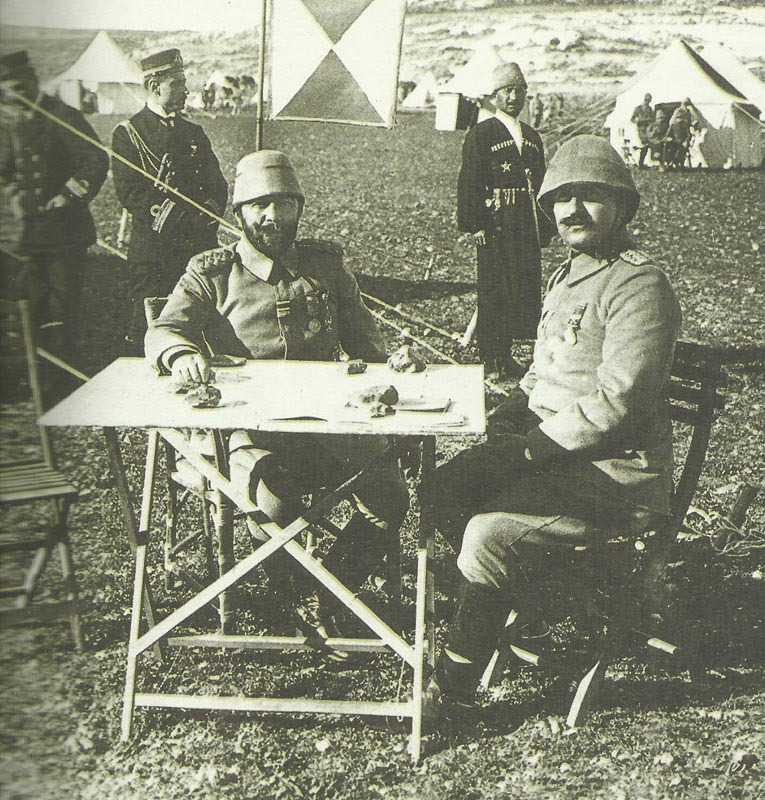 Djemel Pasha (left), Turkish Navy Minister and commander of the forces which intend to attack the Suez Canal. Egypt: 25,000 Turks (25th Division plus other elements) with 10,000 camels and 56 guns begin with 8 night marches from Beersheba towards Suez Canal. Aisne – Battle of Soissons ends: Germans claim 5,200 PoWs and capture of 14 guns; French total loss 12,411 soldiers. Cameroon: 900 Allied soldiers with 4 guns and 5 MGs join up against Garua, where are 577 Germans, 4 guns and 10 MGs. Southwest Africa: Colonel Skinner’s South African troops occupy Swakopmund. Britain: British Foreign Minister Grey assures Russian Foreign Minister Sazonov on Con­stantinople and Dardanelles Straits.